RESIDENTS and community representatives are preparing for another battle against plans for a new bar and bistro in Ponteland. An appeal hearing in front of a planning inspector will take place next Wednesday as the developers behind the proposed facility in Bell Villas attempt to get it approved at the fourth time of asking. The application from Newco (Ponteland) director Jonathan Stokes for a two-storey bar and restaurant, which was formerly a Co-op store and Wine Rack off-licence, was refused by Northumberland County Council’s West Area Planning Committee in January. Councillors voted six to one against the officer recommendation to approve the re-submitted application, saying more can be done to advertise the premises as a retail outlet. 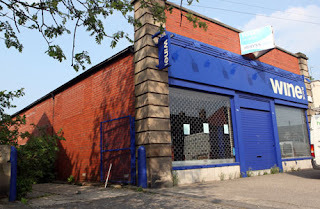 The same committee turned it down in February 2011 on the grounds that it would be an unacceptable loss of retail space and in July, planning inspector Ian Jenkins agreed with its assessment. But Newco decided to press ahead with a second appeal as it says the property has been on the market for a number of months and there has been no significant interest in the site from retail businesses or entrepreneurs. People living close to the building in Ryehaugh have a range of other concerns, including noise disturbance, odours and problems that would result from a lack of parking facilities. One resident, Jennifer Hardy, said: “We have support from Ponteland parish and county councillors and a planning consultant, and we will put our case forward strongly. “The plans have been flawed right from the start, but the county council officers have refused to accept the parking and traffic implications if the application is approved. “They have the misguided view that people will park at the north end of Ponteland and walk down to the premises, even in the rain and snow. “We’re already getting people parking in our street and at the Methodist Church to go to the Diamond Inn or The New Rendezvous restaurant next door, so it will be even worse if the bar and bistro was to open. The appeal hearing will be heard in the Council Chamber, Prospect House, Hexham, starting at 10am.